"The desire for God is written in the human heart, because man is created by God and for God; and God never ceases to draw man to himself. Only in God will he find the truth and happiness he never stops searching for." 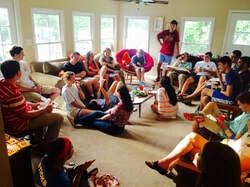 We are a group of Catholic students looking to grow in our faith throughout our years at Samford. Samford CSA hosts many events on and off campus for students to grow in their faith. 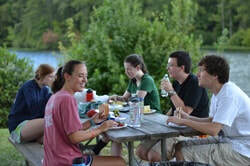 Samford CSA gets involved with Catholic ministries in Birmingham, not just on Samford's campus.